Content marketing is one of the most effective ways to help grow your business online. If you haven't checked out the first part of our series, you can find the link here. In this second part of our content marketing series, we focus on why content is king by reviewing some of the best tools and tips to help you maximize your efforts and stay competitive. Creativity plays an important role when creating content, but so do organization and efficiency. Thomas Smale is well aware of this issue and in his article, he provides 6 tools to help you turbocharge your content marketing in 2017. As creators, you are constantly striving to find new and innovative ways to create content. 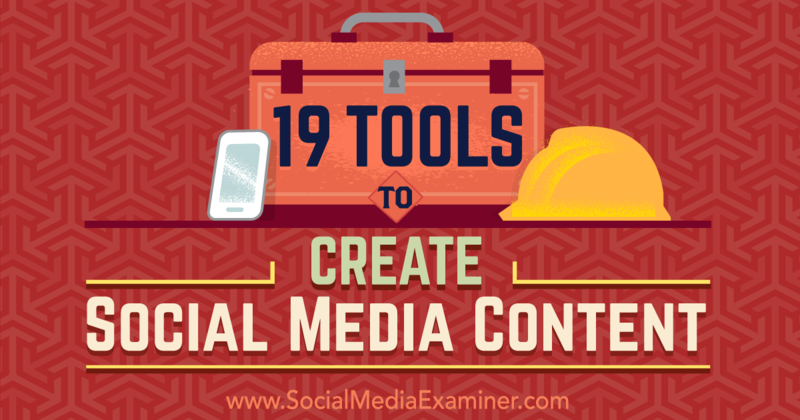 In the following article, Alex Navarro goes over 19 tools you can use to create (or repurpose) content. Being a content creator, your blog is your main hub of your business operations. 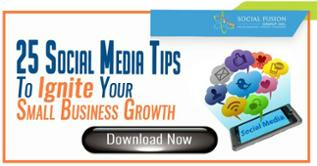 It is therefore natural to want to increase your blog’s exposure and your content’s visibility. Luckily, Aaron Orendorff provides you with 8 tools to help reach a wider audience with your content. Neil Patel has been one of the most influential personalities in the field of digital marketing during the past years receiving awards from Forbes, Entrepreneur Magazine, and the Wall Street Journal. 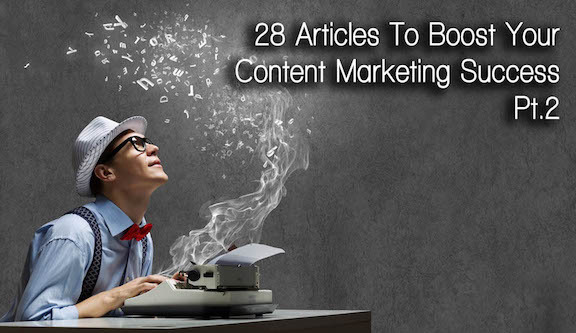 In this article he explores 75 content marketing tools that will help you increase your reach, boost your traffic, explore new creative alternatives, and generate leads. As SMB owners, sometimes you may be on a tight budget. In the following article, the Social Fusion Group offers 6 essential google tools you should be using to maximize your content marketing operations. In recent years, visual content marketing has been steadily gaining popularity. If you are looking for ways to enrich your digital storytelling, Tomas Laurinavicius is here to provide 25 visual content marketing tools to engage your audience. You spend countless hours creating high quality content that will provide value to your readers, but without proper distribution tactics, your work will go unnoticed. In his article, William Harris underlines 12 essential content promotion tools you will need to master and reach your audience. As an SMB owner, much of your marketing efforts are devoted to attracting visitors to your blog or website, ultimately trying to convert them into long term customers. In his article, Andrew C. Belton underlines 5 content marketing tips on social media to help build your credibility, enhance your brand awareness, and finally establish relationships with your target audience. In order to attain and maintain competitive power, an SMB needs to think smart and act efficiently. It is for this reason Tatiana Doscher provides you with 7 content marketing and SEO tips to get the most out of your marketing strategy. When a company has ample resources, content marketing may seem comparatively easy. As an SMB owner, you should not let budget size discourage you. 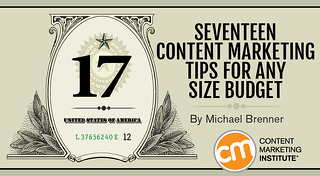 Here are 17 content marketing tips for any-size budget brought to you by Michael Brenner. 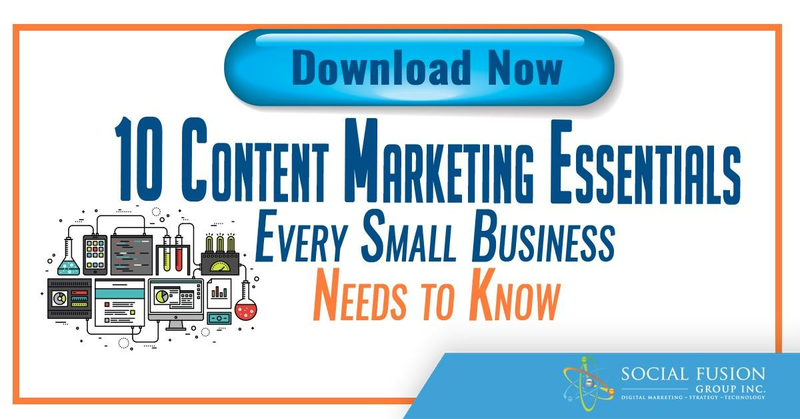 Small businesses are generally more restricted and oftentimes face harsher circumstances when it comes to planning and launching a content marketing campaign. Once more, these limitations should not discourage you. Jayson DeMers provides 3 simple but effective steps for creating a killer content marketing strategy for small businesses. Some small business owners may not even have a team to back them up, making them “solopreneurs”. This is exceptionally tough as all operational responsibilities fall into their hands and with limited time, they will either have to make sacrifices or become extremely efficient. Asmallorange.com is aware of such issues and has provided “solopreneurs” with effective and efficient use of content stacks. Content syndication is a process that's not completely understood by many. Take a look at what to consider and the benefits of content syndication here. Did you find these articles helpful? Do you have any questions? Let us know in the comments below or connect with us on Twitter or Facebook!